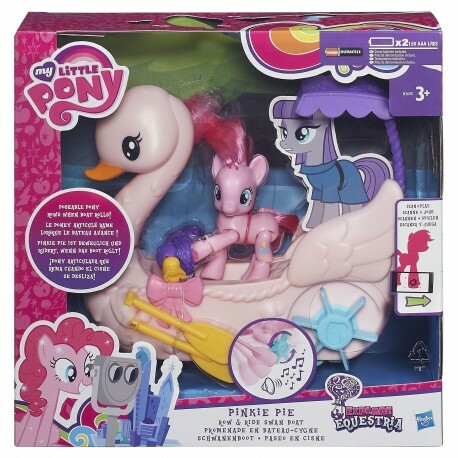 -Row, row, row your boat with pinkie pie and her awesome row & ride swan boat. 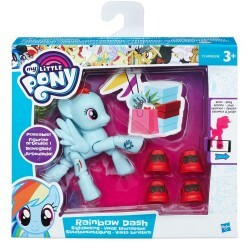 -She’s poseable for rowing action and as the boat rolls, the music plays and she rows. -When you scan your pinkie pie figure’s necklace into the my little pony friendship celebration app, you can unlock her character in the app. -It’s going to be a great day at the park with pinkie pie and her swan boat.